Hop To It! Time to Fill Your Easter Baskets! Posted in: Event News, Products News, Uncategorized. Tagged: Easter, easter basket, Easter Sunday, Farmers Markets, Kettle corn, pastel color. Hippity Hop come see what we got. 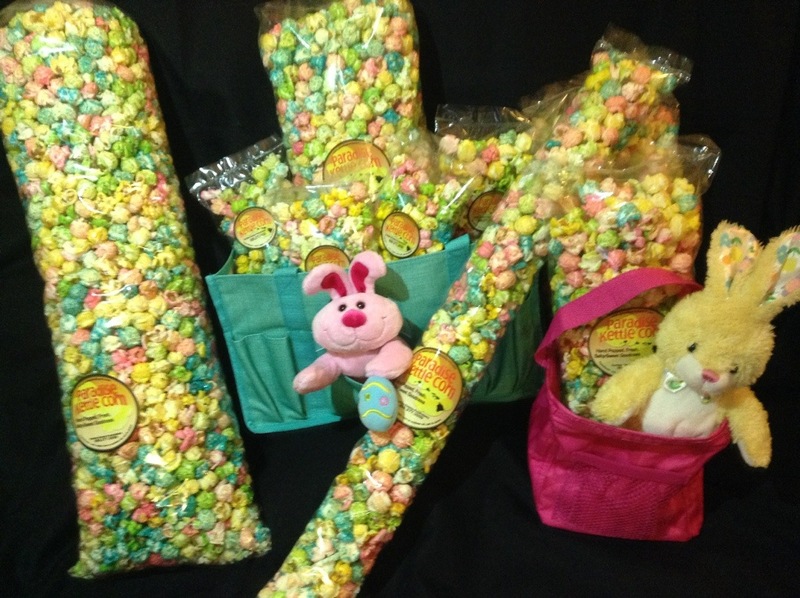 Pastel colored kettle corn make great basket fillers. Available in all sizes, including minis and stix. Give us a call to get your orders in or come by and visit us at the Farmers Markets. Easter Sunday is March 31st.